guilded.gg at Website Informer. Guilded. Visit Guilded. 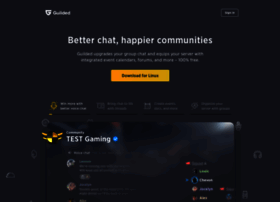 Guilded is the new standard in gaming team management. With Discord bots, Overwatch stats, Fortnite scrims, CS:GO team finder, Destiny 2 LFG, and more.